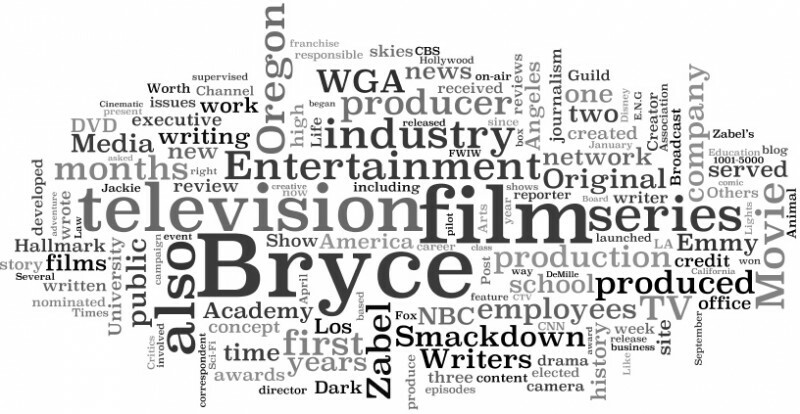 Even though it hasn’t been his primary business, CNN correspondent-turned-screenwriter Bryce Zabel has been reviewing movies since the earliest days of his career in TV and film. Perhaps more astonishing, he has been paid to do this. As an on-screen critic, Bryce pioneered an extended magazine-style review format that ran for two years at KCET, the Los Angeles PBS affiliate. He first reviewed films professionally as an on-air critic at Oregon’s KVAL-TV and KEZI-TV. He also anchored, reported and did the weather at those local stations. Film commentary was his payback. He came to Hollywood as a journalist but made the transition to film and television screenwriting. While he freely admits to having written the script for the reviewer-savaged Mortal Kombat: Annihilation, he hopes the fact that he also won the Writers Guild award a couple of years ago will cause you to cut him some slack. Willing to bite the hand that’s fed him, Bryce created Movie Smackdown! in the late 90s, started the first blog in 2005, kept developing it as “proof-of-concept,” trademarked that concept in 2007, and unleashed version 2.0 in 2011. Bryce has created five primetime television series, notably NBC’s Emmy-winning UFO series Dark Skies, released on DVD in 2011. He has received the WGA “created by” or “developed by” credit on Kay O’Brien (CBS), M.A.N.T.I.S. (FOX), The Crow: Stairway to Heaven (SYN) and E.N.G. (CTV). His other series work includes Steven Spielberg’s Taken, L.A. Law, Life Goes On and Lois and Clark: The New Adventures of Superman. He gave Clark Kent his birthday, May 17, but that is probably the only similarity he shares with the Man-of-Steel, besides being a completely different person when wearing glasses. Also this year his just published non-fiction book, A.D. After Disclosure: The People’s Guide to Life After Contact, is being developed as a weekly television series by his production company Stellar Productions and Electric Farm Entertainment. It is being nationally published in a revised and expanded edition by Career Press in the spring of 2012. We’ll just get this part out of the way now. Yes, he does believe that at least some UFO sightings are of technology we don’t yet possess made by somebody who is not from here. 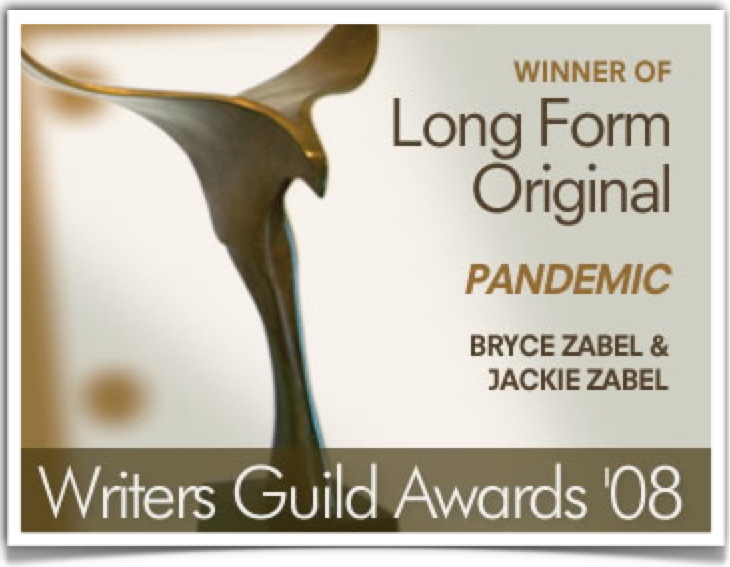 In 2008, Bryce (and his wife, Jackie) received the Writers Guild of America (WGA) award for writing his third four-hour Hallmark mini-series, Pandemic. He has written multiple studio feature scripts, receiving credit on produced films and miniseries that include Atlantis: The Lost Empire, Mortal Kombat: Annihilation, Blackbeard, and The Poseidon Adventure. He is currently under contract to write Majic Men, about the Roswell investigation. He wrote SyFy’s first original film, Official Denial, and the first film in the Unsolved Mysteries MOW franchise, Victim of Love. 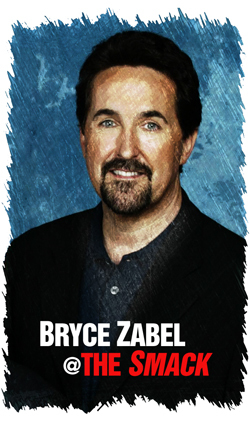 Bryce served as the elected chairman/CEO of the Academy of Television Arts & Sciences, the first writer to hold the position since Rod Serling. He was responsible for the post 9/11 Emmy awards as well as the negotiations which led to an unprecedented 250 percent license fee increase for the telecast. He also oversaw the deal that led to the new Nokia Theater. Oh, and he got to introduce Walter Cronkite and Tom Hanks on the broadcast and one year he sat with Steven Spielberg at the ceremony. It was a pretty awesome experience in so many ways. He has been an award-winning on-air PBS investigative reporter, winning for an expose he did on an eye surgeon who performed cataract surgery on people that did not need it just to collect the insurance. Some dudes are just plain evil. As an adjunct professor at the USC School of Cinematic Arts, he taught a graduate level course on producing film and television; and he asks all the students he taught who are now running Hollywood to remember fondly how he graded on the curve. He’s a card-carrying, dues-paying member of the Directors Guild of America (DGA), AFTRA and the WGA where he served a term on their Board of Directors. He has been on strike three times in his career. One time he almost lost his house.